With the popularity of the internet and technology evolving rapidly, more and more people are choosing to shop online. Across the globe, there are now over 3.4 billion people using the internet and in the UK, nearly 90% of adults (45.9 million) are logging in online. 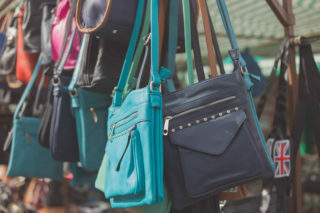 However, the European Union Intellectual Property Office (EUIPO) reported that international trade in counterfeit and pirated products is now worth up to €338 billion (approx. £300 billion) and with this increasing demand for everything to be online, brands, businesses and consumers are now finding the digital world flooded with fake goods. Counterfeit goods are no longer just found in local markets – they are now easily available across the internet on auction sites, online market places, dedicated websites and social media. These sites are located throughout the world and while they often look legitimate – featuring advertising from reputable companies and accepting major credit cards – essentially they are online havens for theft, enabling criminals to profit from content or intellectual property they had nothing to do with creating. Websites selling fake goods often look like the real deal. Time and money spent on a good and professional site with high quality imagery, attracts customers and in turn dupes more members of the public. What’s more checking the authenticity of a product is proving to be a lot harder than shopping in your local high-street, as you cannot gauge the look and feel of a product. The potential harm and risks from counterfeit goods and the rogue websites selling them is profound. Fake goods are often bad quality and in most cases unsafe. Counterfeit electrical goods are not put through the same vigorous safety checks as legitimate items and are often very dangerous. Likewise fake medicines, alcohol and food are not subjected to the same health and safety procedures as legal items and so the damage can potentially be fatal. Consumers also need to be aware that by accessing websites like this they are running the risk of their personal details being compromised and being used for other fraudulent scams, as well as the exposing their computer to malware and viruses. If you purchased an item you believed to be genuine but now believe it may be counterfeit you can report it to Action Fraud or call 0300 123 2040. Your local Trading Standards office can also give you advice. If you suspect someone to be involved in the sale or trade of counterfeit items you can report this anonymously to Crimestoppers or visit our report it page for more information.